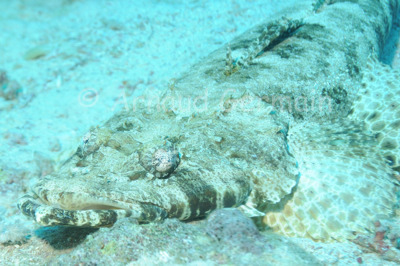 One of my favourite fish in the Red Sea. I find the camouflage superb and the eyes are just fascinating. I am still trying to find the best angle the get the perfect picture. I took this one in the saddle between Yolanda and Shark Reefs in Ras Muhamed National Park. Nikon D700, Nikon 28-105 mm macro at 85mm, F8, 1/60th, ISO 400, Ikelite Housing and Ikelite DS160 strobe set on TTL. Yolanda Reef, Ras Muhamed, Egypt, about 25 metres down.